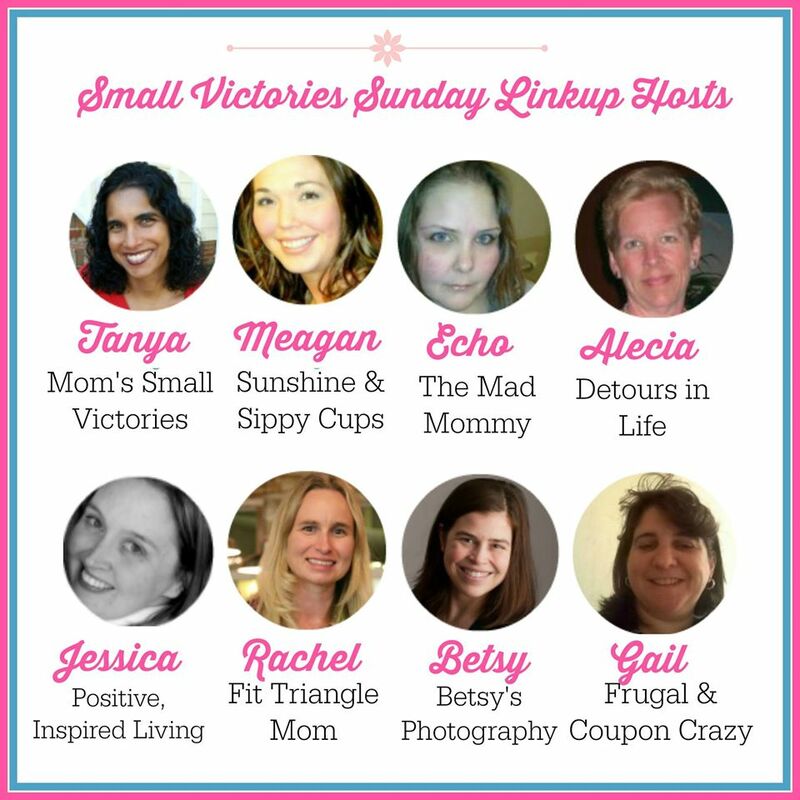 I am so excited to announce that I will regularly be co-hosting the Small Victories Sunday Linkup! The founder, Tanya of Mom’s Small Victories created the linkup nearly a year ago as a way to reflect and celebrate the week that passed and look forward to the week ahead. Readers will enjoy the inspiring and informative posts while bloggers can easily linkup and connect with other bloggers. This weekly linkup is designed to linkup your BEST posts that inspire others to read, cook, craft, live well and blog well. Share with us anything that will help others live a happier and healthier life. Our linkup is open all week long so feel free to stop by anytime, it’s never too late to linkup with us. If you need writing prompts or to see past linkups, visit our main Small Victories Sunday Linkup page. My favorite posts this week were from Just Be Well Yoga– Sleeping Beauty Kids Yoga Sequence and Kid Friendly Lavender Sleep Mask. My boys are always wild before bed, and I plan on incorporating these ideas into our nightly routine. Yoga is a great way to prepare your body for bed. The lavender mask makes a fun and easy craft too. Thanks for linking up Just Be Well Yoga. Be sure to grab the featured blogger code above and display the image on your blog! I just finished reading the book, Covering Home. It was a fun book filled with baseball and romance. I am currently reading Prayers for your Children and The Savvy Mom’s Guide to Son’s. I will be sharing more about these books on my blog later this month. It’s been a busy blogging week. I wrote a review about the book Covering Home and the author is giving away a signed copy of her book open to U.S. and Canadian residents! I also wrote about an upcoming race in Raleigh. Ella’s Race is annual race that remembers 4-year-old Ella and her fight against pediatric brain cancer. It’s a sad story, but I’m happy to partner with this race and help support pediatric brain cancer research. I’m also giving away a free race registration. Speaking of races, I’m already organizing Team Fit Triangle Mom for the Komen Race for the Cure held in Raleigh on June 13. My goal is to raise $3,000 by partnering with small local businesses and selling team t-shirts. If you are local, I would love for you to join the team as a runner or walker. Click Here to learn how to get involved. The kid’s finally went back to school on Monday after a crazy winter storm of snow and sleet. North Carolina does not typically have this kind of weather, so when we do get it, everything shuts down. My kids were out of school for two weeks. With the kid’s back in school, I was able to catch up on cleaning, blogging and my regular routine at the gym. I literally do a happy dance when I achieve my at least 3-day a week gym/workout goal!